This is our favourite video. A transcendent example of the principle that, if you want to get someone to do something, shouting at them, scaring them, revolting them, even, with violent images simply causes them to switch off, to disengage. At which point all communication has stopped. A positive message, and one conveyed in pictures and music—no words—has the chance of engaging at an emotional level while maintaining contact. Adults learn best (only?) when they’re in their feelings. Stories which are metaphors, like this one, can be very powerful, when they are good metaphors. And, talking about metaphors and signs, it’s interesting how director Daniel Cox uses a visual metaphor, at the end of the film. It took a few days to realise that it is an enactment of a renaissance Pietà, with the ironic twist that the man/Christ isn’t dead – in fact that’s the whole point! Keen students will notice that the music is a slow waltz (it’s in 3/4) and it is fascinating watching how the film is cut on and off the beat. 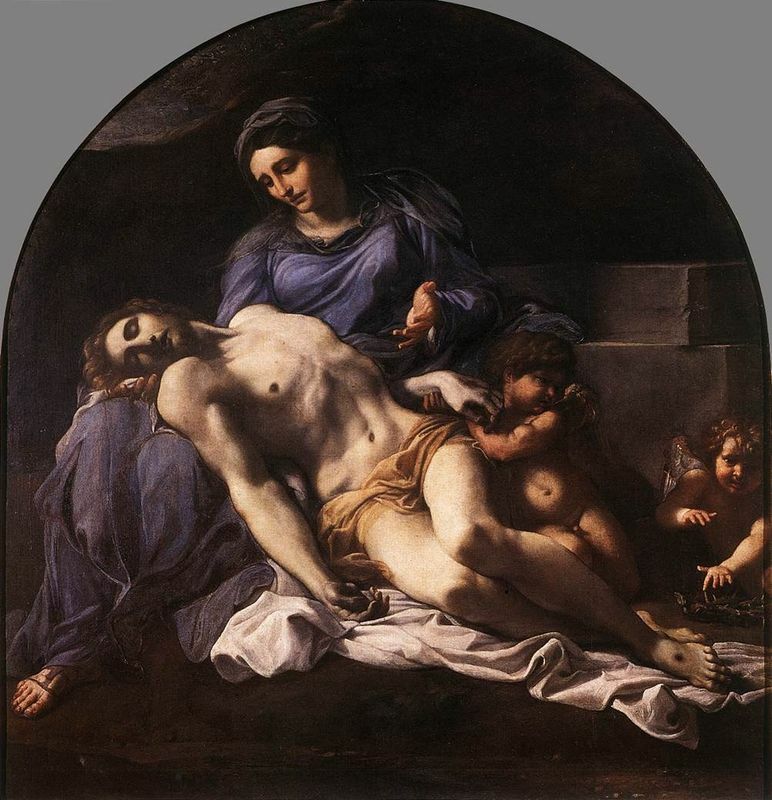 The final resolution of the three people into the Pietà is inspired, though I wonder how many of the audience get it. A bit of research shows that most Pietàs are just of Mary and Christ – I haven’t found one which precisely adds just one angel (hence the toy wings the girl is wearing), but one by Annibale Carracci comes close (and I note that the video fades out just before the man’s arm touches the child). As a composer, I must commend the use of music. I notice that the synthesised voices come in at the precise moment the man realises the accident is coming. I notice how carefully the film is cut to the music. All the important changes of shot occur on the downbeat, ie first beat in the bar (or slightly before, presumably to stop the cutting becoming too mechanical). It’s 32 bars in all (though the last one has a fermata at the end, ie the last chord is extended in time). After a two bar intro, there are two eight bar phrases, and a 14 bar phrase. The start of the first 8 bar phrase marks the start of the journey; the realisation of the accident is slightly before the start of the second section (precisely one bar before); and the start of the third phrase is where the women holds the man – the emotional crux of the film. Given that there are only 32 bars’ music, it is surprising that that Daniel Cox is able to place as many as ten key moments in the film on downbeats (in ninety seconds) without the video seeming formulaic or mechanical. Even in such a short film, there are passages with different cutting styles. The ‘rule’ that cuts take place on downbeats is broken in the five bar passage, bars 5-9 inclusive, where the cuts are all mid bar, and again – but differently – after the woman has rescued him, where there are only three cuts in eleven bars. Sarah Alexander/Daniel Cox/Sussex Safer Roads Partnership.